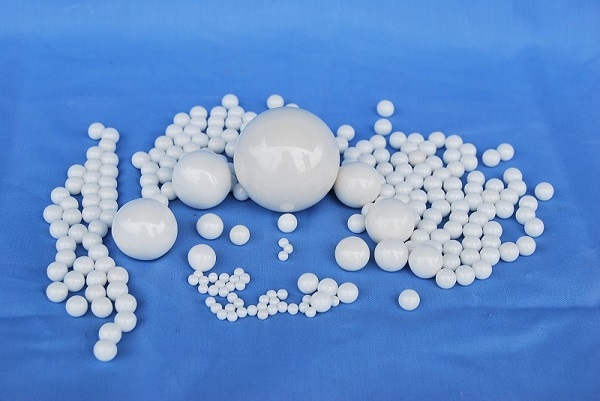 Yttria Stabilized Zirconia Beads,CS60000-2,Zirconia Grinding Bead; Zirconia Grinding Ball,China Southern Advanced Ceramic Technology Co., Ltd.
Zirconia Y-TZP grinding media bead (ball) is made from super material and advanced technical craft and suitable for any kinds of mills such as micro-mill, attritor-mill, vibratory mill and ball mill to grind and disperse effectively and economically the material of electronic slurry, ceramic powder, magnetic material, battery material, rare-earth material, nonmetal ore, painting, dye, ink, calcium, titanium, pesticide, food stuff and medicine etc. Comparing with other grinding media such as Alumina media, zirconia silicate media, steel media, agate media and glass media, Zirconia Y-TZP grinding media has high density and toughness and super hardness, so it has better grinding efficiencies. The high wear-resistant Zirconia Y-TZP grinding media prevents materials from being contaminated and chemical etching or short service life of the grinder. These special features make Zirconia Y-TZP grinding media especially suitable for material grinding in important occasion. △So it's tougher and more resistant to wear and deterioration from a long term point of view.